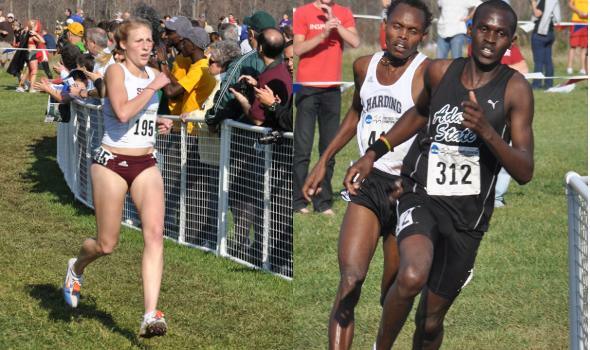 NEW ORLEANS – The U.S. Track & Field and Cross Country Coaches Association (USTFCCCA) is pleased to announce eighty student-athletes from NCAA’s Division II as recipients of the 2009 USTFCCCA Cross Country All-American award. Award winners finished among the top 40 in either the men’s or women’s races at the NCAA Division II Cross Country Championships held Saturday in Evansville, Ind. Seattle Pacific’s Jessica Pixler made NCAA history in becoming the first female Division II athlete to win three individual cross country championships, doing so with a seven-plus-second victory in the women’s six-kilometer race (20:22.6). Western Washington junior Sarah Porter took second (20:30.1) while Missouri Southern’s Ashley Siler (20:43.6) and Kimi Shank (20:44.5) placed third and fourth, respectively. The women’s team race was claimed by Adams State for the seventh-consecutive year as freshman Alicia Nelson led a group of five Grizzly All-Americans to the title with a seventh-place overall finish. Grand Valley State, who also had five earn All-American honors, was second in the team competition followed by Missouri Southern. Adams State senior Reuben Mwei clocked 30:27.8 in the men’s 10-kilometer race to claim the NCAA Individual Championship in leading Adams State to their second-straight NCAA Division II men’s team title. Mwei finished just four tenths of a second ahead of Harding’s Daniel Kirwa for the crown in becoming Adams State’s first individual title holder since 2003. All seven Grizzly runners earned All-America status and placed in the top 25. Western State, who took second in the team race, had five runners garner All-America honors. Awards for the USTFCCCA Division II Cross Country National Athletes and Coaches of the Year will be announced later in the week as they are pending selection by a national vote.